This is a two-week intensive course on advanced numerical methods for hyperbolic partial differential equations with applications in engineering and science. Special emphasis is put on numerical methods that are able to handle very complex geometries. In particular, unstructured Finite Volume and discontinuous Galerkin schemes as well as mesh-free particle methods are presented. Aspects of modern high performance computing are illustrated by an introduction to parallel programming via the MPI standard. 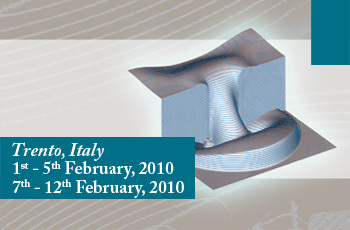 The course is primarily designed for PhD students and post-doctoral researchers in applied mathematics, engineering, physics, computer science and other scientific disciplines. The course may also be of interest to senior researchers in industry and research laboratories, as well as to senior academics. The lectures on the theory will be supplemented with laboratory-based exercises to provide hands-on experience to all participants on the practical aspects of numerical methods for hyperbolic problems and applications using the library NUMERICA and MATLAB programs specially designed for the course.